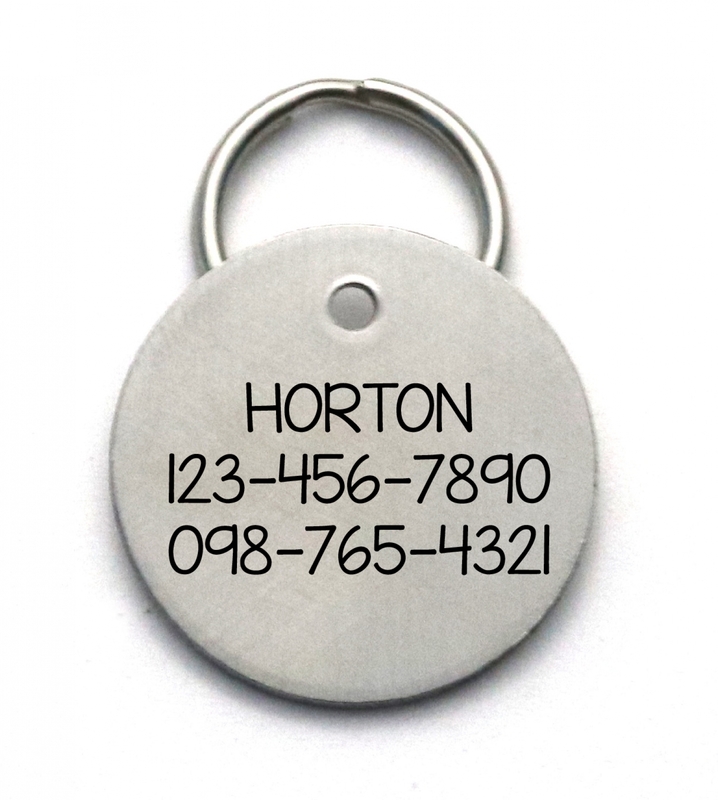 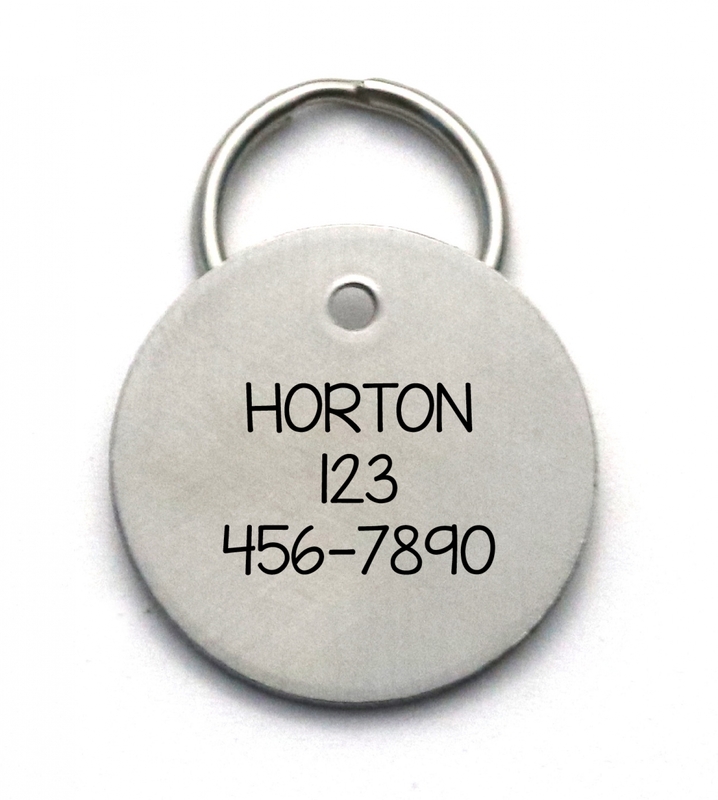 A 1-inch diameter high quality stainless steel dog or cat ID tag, laser engraved as shown in the sample photos with TALK TO THE (PAW PICTURE) on front and then your pet's name phone number(s) engraved on back. 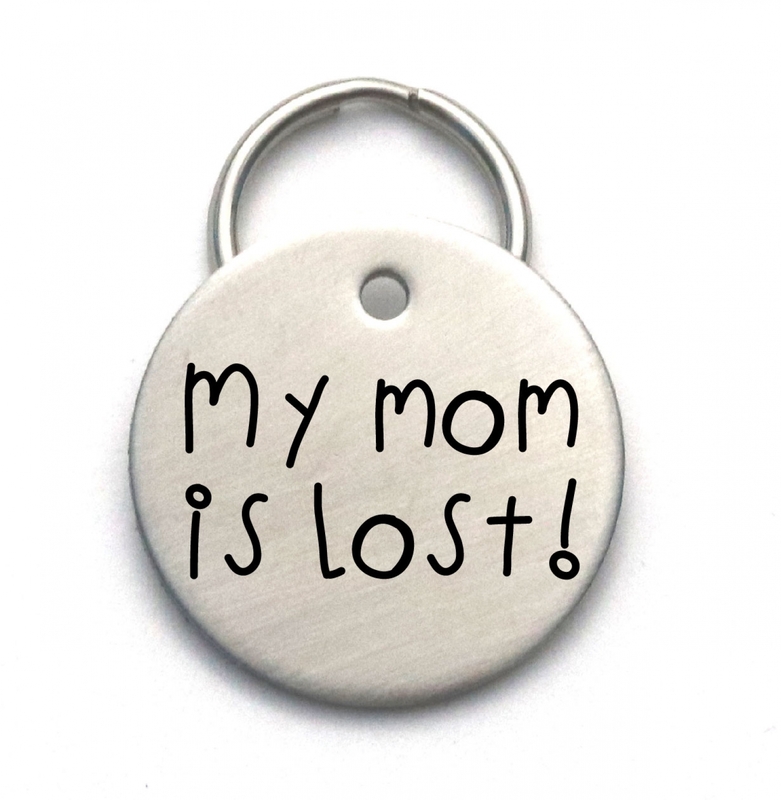 Perfect gift for dog lovers! 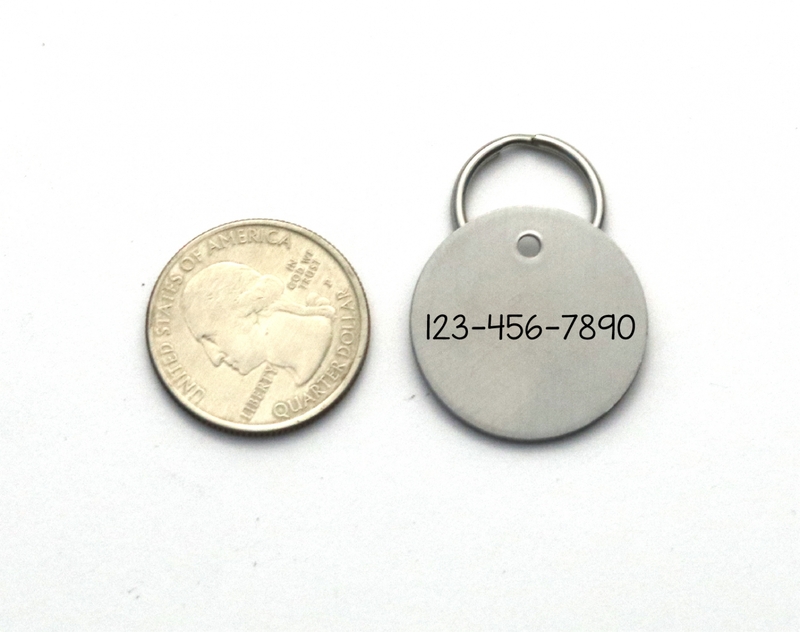 Production time is 3 - 7 business days.